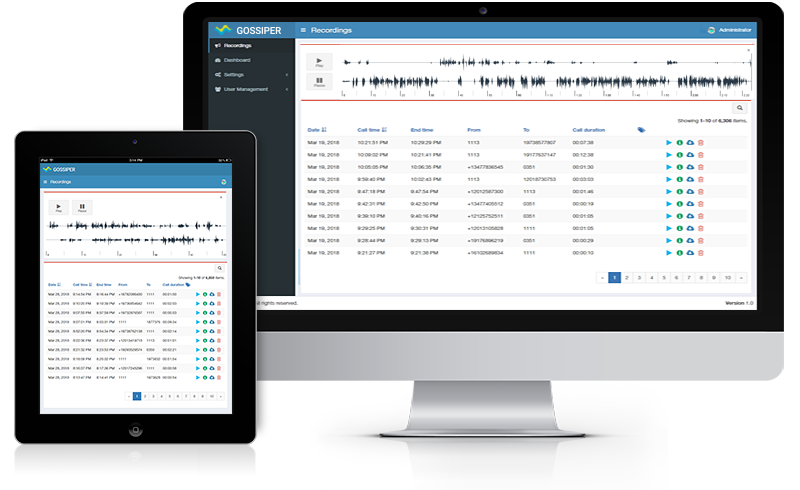 Access call recordings anytime, anywhere from your phone, tablet or desktop. 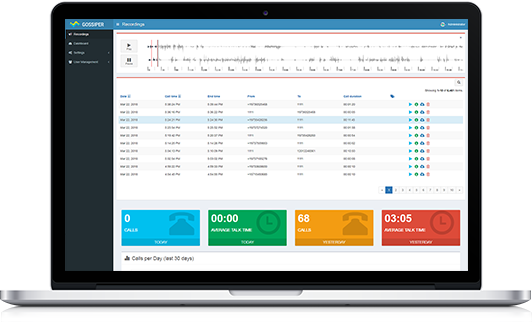 Monitor employees' calls in real time to guide and support agents to deliver optimum customer service. Increase flexibility, speed-up deployment, optimize hardware resources and reduce total cost of ownership. Use recorded examples of top performing employees to train the rest of the team members and increase customer satisfaction by understanding customer needs.